Congratulations on your upcoming wedding and, especially, on your decision to get married or to renew your vows in the beautiful Rocky Mountains. I would be pleased to be part of a ceremony that is a lasting memory for you and your guests. I am the immediate past Mayor of Banff. I did not seek reelection and can now focus full time on being an Alberta Marriage Commissioner.. I was born here and am a former high school teacher and the father of a son who ski raced for Canada. My wife, Pat, assists with the paper work and planning and has an eye for detail that will assure that your marriage is well planned and memorable. She too was a high school teacher and model and an actor. 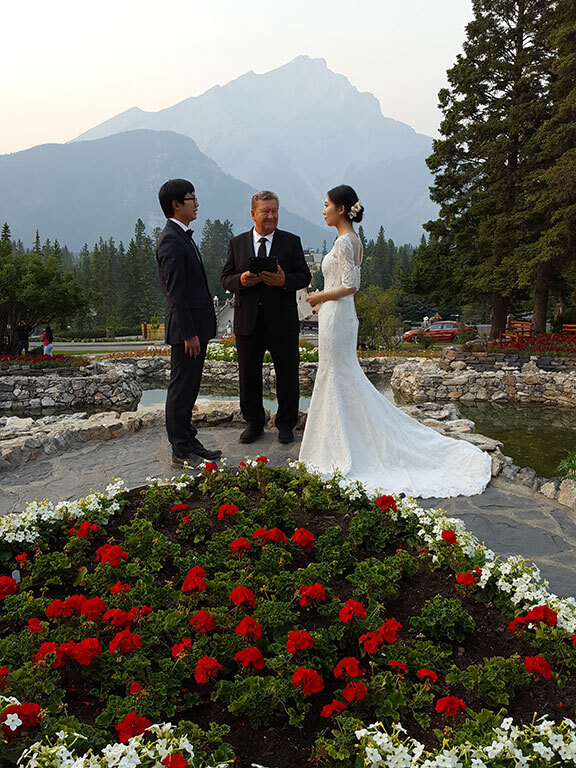 We can suggest many scenic, majestic or cozy locations, indoors and out, around Banff where you can exchange your vows. If you have already made your plans, we will discuss the ceremony with you and can meet you before the wedding to personalize your ceremony. Prior to being married in Alberta, you must obtain an Alberta Marriage Licence from an Alberta Registry office. Fees vary between Registry Offices. This licence is valid for 3 months from the date of issue. The Registry office will prepare a marriage licence and a Registration of Marriage that must be presented to the Marriage Commissioner prior to the wedding. Within the civil ceremony there are mandatory phrases that must be stated. Other aspects of the civil ceremony can be customized to meet your wishes. At the wedding, the Registration of Marriage is signed by the bride, groom, two witnesses and the Marriage Commissioner. The Marriage Commissioner will complete the paperwork and process it with the Vital Statistics office. A Statement of Marriage, prepared by the Marriage Commissioner, will be presented to you at the completion of the ceremony. 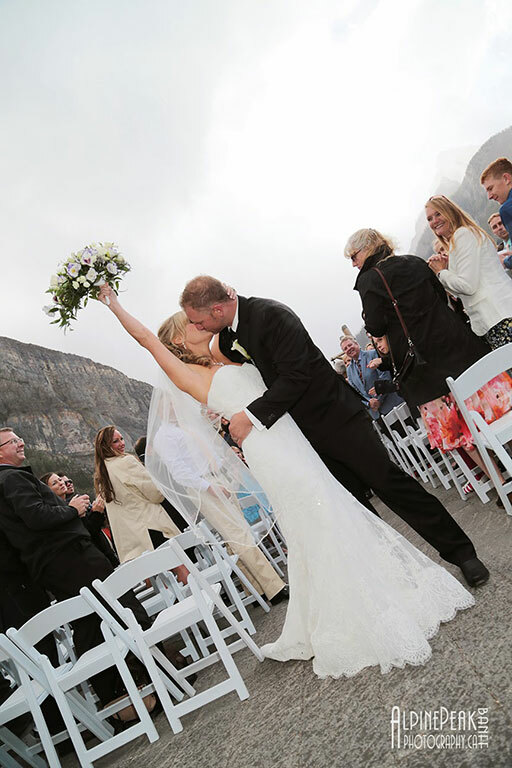 There are many beautiful locations in and around Banff and Canmore for your wedding. The following is a list of some popular settings.